Make us the key to your career. Join us in propelling ahead of our new Menggatal Landmark - Grand Merdeka Mall. 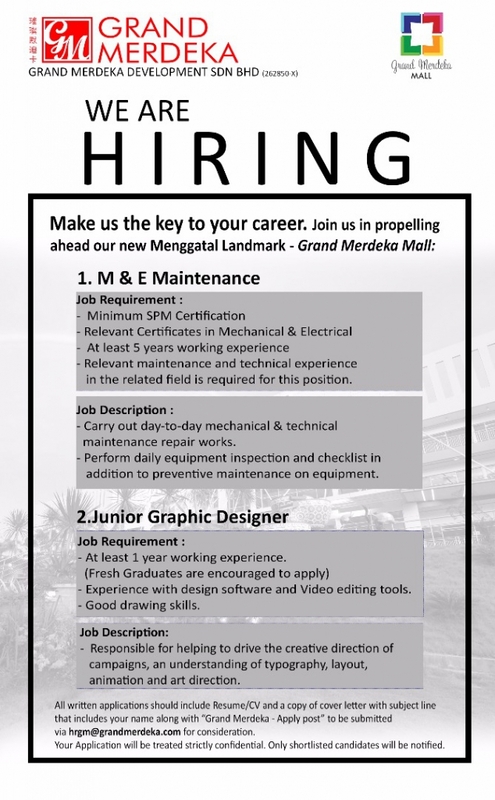 All written applications should include Resume/CV and a copy of cover letter with subject line that includes your name along with "Grand Merdeka - Apply post" to be submitted via hrgm@grandmerdeka.com for consideration. Your Application will be treated strictly confidential. Only shortlisted candidates will be notified.